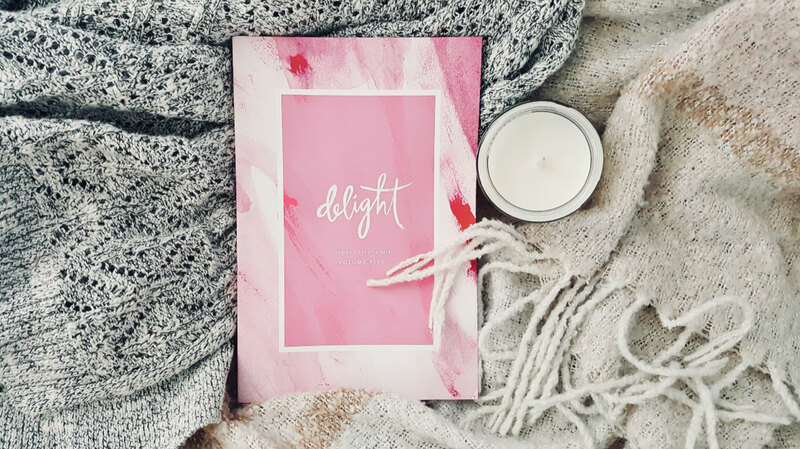 Back in January I announced that a short story/testimony of mine about pursuing contentment in the messy bits of life was published in one of Delight Ministries’ devotional volumes (SO CRAZY COOL), and loads of you have asked about when it will be available in the Delight shop for you to read. I finally have an update! 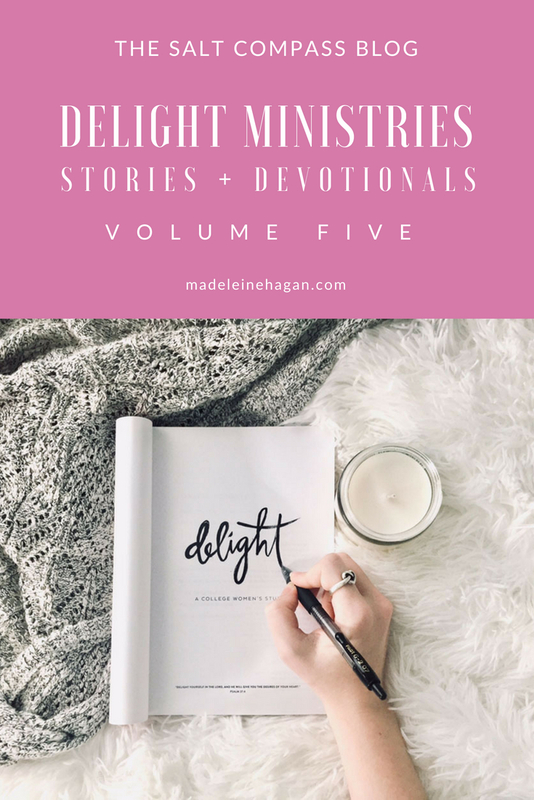 I’m super excited to let y’all know that Delight Stories + Devotionals: Volume 5 is now available in their online shop here, along with the other four devotional volumes, stickers, pop sockets, journals, and more! 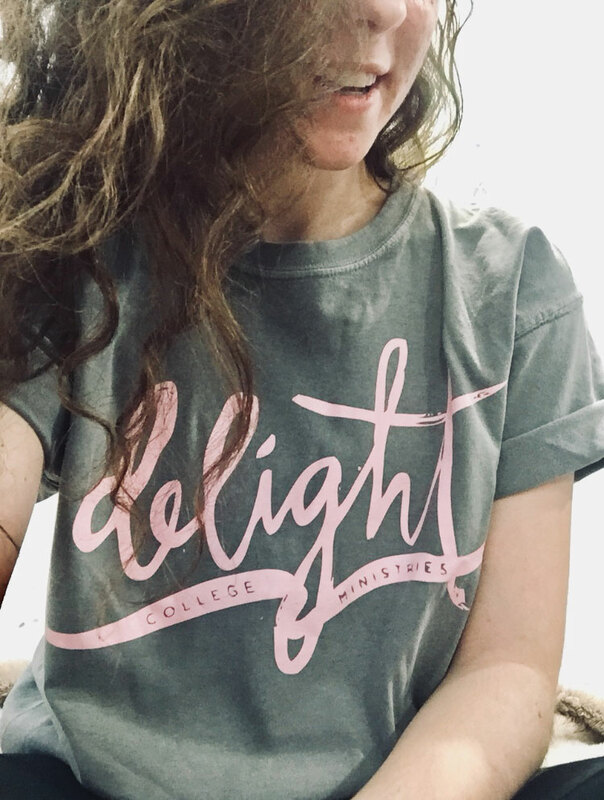 I particularly love their Comfort Colors tee with the signature Delight logo in pink (I wear it tons because COMFORT). Anyway, I hope you go check out the Delight Ministries website and support them in any way you choose because their vision is absolutely awesome. They are all about community, vulnerability, and digging deep into the Bible with other college gals, and I love watching the impact that the Delight chapters are making on college campuses nationwide! 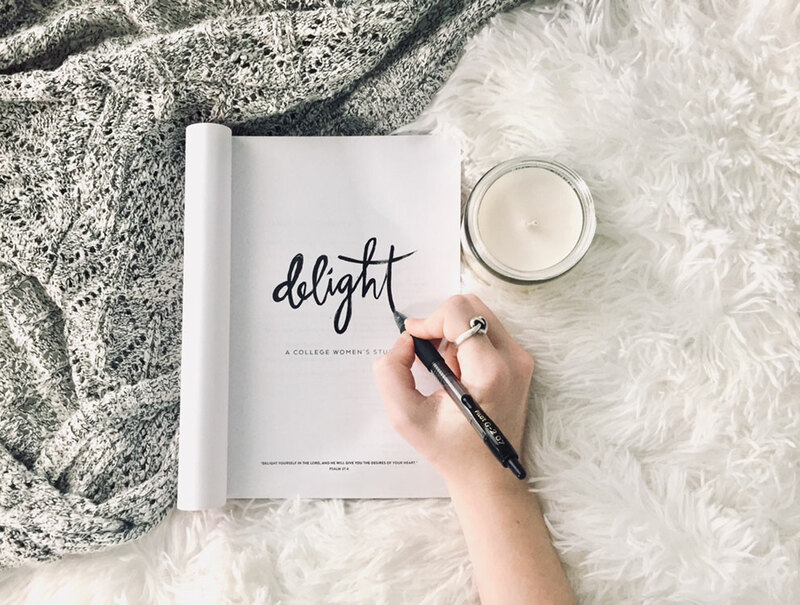 There are so many amazing stories written by amazing girls in their devotional volumes, plus daily discussion questions after each story, and I can’t wait for you to read them! For more information check out the Delight Ministries website at www.delightministries.com. And if you’ve never read any of their blog posts before, I highly recommend those as well!